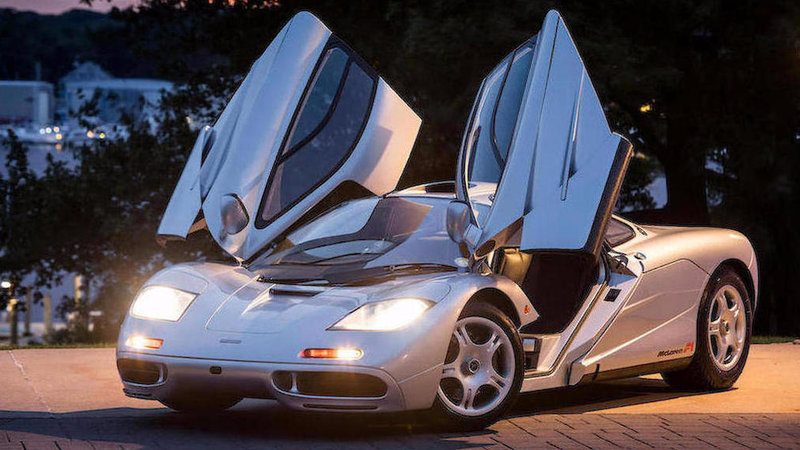 An absolutely pristine and particularly special 1995 silver McLaren F1 just found its second owner at the Bonham’s Pebble Beach auction for an astronomical asking price, which is fitting because us mere Earthlings are not worthy. The dreamer’s dream example of the McLaren F1 sold for a whopping $15,620,000 including premium and fees in Pebble Beach on Friday, according to the Bonham’s listing. That sounds like a lot, but it also sounds like 200 mph, a three-seat cockpit and a gold-shielded engine, so who’s really counting? This specific F1 isn’t just picture perfect, like some long-lost childhood poster we just found in the corner of the closet that seems like it’s in good shape but kind of smells like whatever “wet” would smell like for some reason. This F1 is particularly good, for us Americans, because it was the first F1 of only seven to be made street legal to drive in the U.S., making it like the Neil Armstrong of McLaren F1s. So out of 64 street-legal cars worldwide, this F1 is the first of only seven to be federally approved to drive in the U.S., living out a single-owner life right up until now with only 9,600 miles on the clock. According to Bonham’s listing, almost half of those miles were put on during a “journey of a lifetime” the then-new owner and two of their pals took the car on back in 1996, traveling through “France, Germany, the Netherlands, and Belgium” before sending the car back to the Woking factory and having it shipped off to New York. Granted, there was some finicky trickery involved in getting it legal to drive stateside. The seven cars were federalized by Ameritech, who added special bumpers and reflectors to get is passed, all of which any sharp-minded, good-hearted owner would immediately take back off, as was the case here. The car is in original factory condition, and the ugly U.S. pieces do still come along with the purchase, just separately, as it should be. If you are reading and somehow feel like you missed out on a great opportunity, you really did. Good luck finding another single-owner federalized McLaren F1. Maybe whoever nabbed this one will get buyer’s remorse (they won’t).